The Exit Window: There are a handful of affiliate pages where most visitors leave their site (this can often be determined through their web stats). Suggest that they try presenting your targeted pop-up offers to these people as they leave their site, and earn commissions on the traffic they're losing. Disabling Smart Tags on a Web Page: Smart Tags are a controversial feature in Internet Explorer 6.0 beta that allows Microsoft to place their links in other people's websites (yours and mine). You can disable Smart Tag recognition in Internet Explorer within your site by adding a Meta tag to your Web pages. Get it here. Camouflage Your Links: Do you want to disguise your affiliate links? Some people don't like to click on an affiliate link, because they think the page was created as a thinly veiled attempt to drive targeted traffic to an affiliate link. Don't take that risk - you can easily camouflage your links by adding some simple code. Frame Your Links: Sites based entirely on frames are a no-no. You cannot bookmark the current page and return to it (the bookmark points to another version of the frameset), printouts become difficult, etc. But they are a great tool for affiliate marketing. Use a Business Card: Affiliate programs are online, but the promotion of your affiliate links doesn't have to be. There are a number of ways that you can promote your affiliate links offline - one way is to advertise them on a business card. Inline Frames to Keep Your Traffic: Inline Frames are frames for people that hate frames. They incorporate the cool feature of retaining your site traffic and masking affiliate links, while also allowing you to maintain the current design of your site. Coloring Pages: There is increasing competition for the attention of customers out there, and if you want to maximize your reach, you've got to be creative. If you've got the right audience for it, try offering coloring pages that feature your URL - these are great offline marketing tools you can offer from your site. 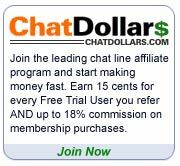 Go Beyond the Banner: Did you know the most popular method for promoting an affiliate program is with a 468x60 banner? That's all fine and good, except that the 468x60 banner is also the least effective way to promote an affiliate program. The folks that make the most money with ClubMom are doing it in one of two ways. Drive Traffic with a Screensaver: Recently, I downloaded CustomSaver's FREE screensaver creator trial version. I was figuring I would just make a screensaver of my family to put on the computer at work, but then I realized I could also use it as a marketing tool.